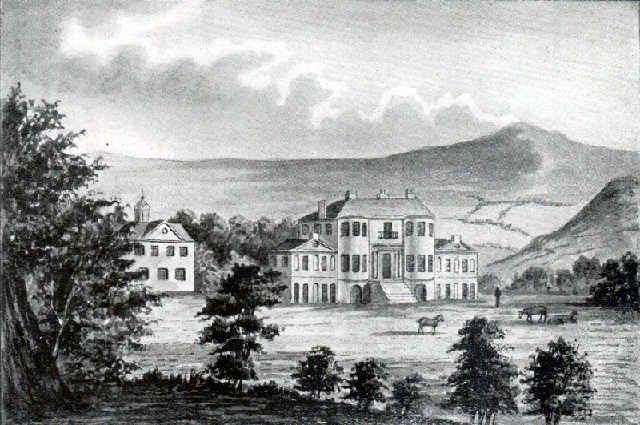 In 1794 Hester and Gabriel Piozzi started building a new house - which they called Brynbella - on Hester's Bach y graig estate, in the Vale of Clywd, south of - and close to - Tremeirchion. 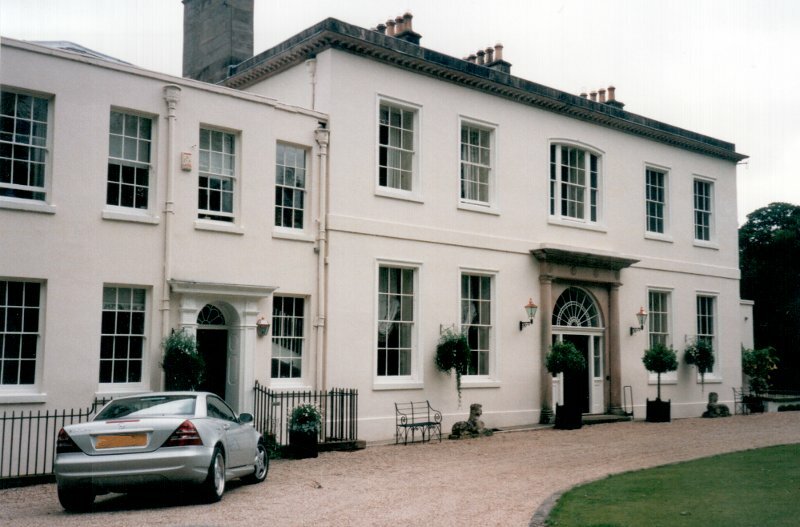 The house is in the style of an Italian villa, with two bows flanking the front, two wings on either side, a flight of steps leading to the door, a balcony outside the windows leading to the porch, and several stables and outhouses at the rear. The house faces west, above a stream leading to the River Clywd. Piozzi diverted the trout stream to flow near to the kitchen. Cecilia keeps healthy yet abhors the Place; & when Mr Piozzi rides to Brynbella, She goes the other Way; professing with more Sincerity than Politeness her Hatred of Wales, and of our House in particular! Much of the original Piozzi furniture, specially made by Gillows of Lancaster, was sold after Hester's death in 1821 by her adopted son and heir, Sir John Salusbury Piozzi Salusbury who had badly managed the estate. 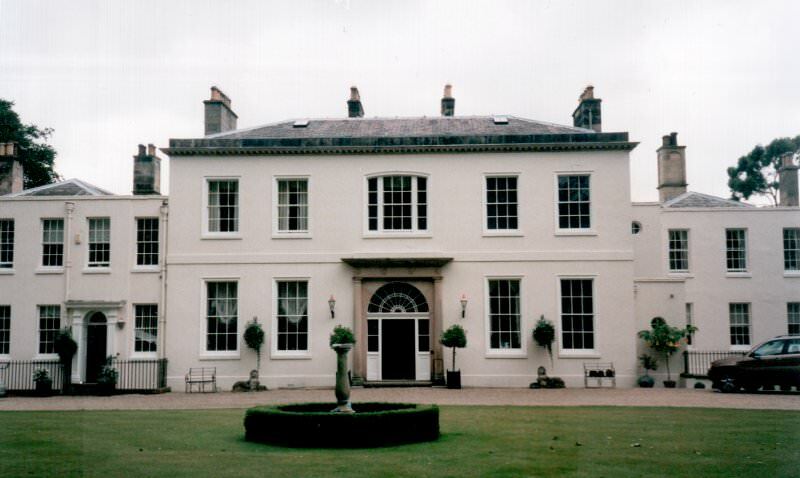 After the death of Mrs Glazebrook aged 93 in December 1993, Brynbella was put up for sale. The well organised two-day sale of the contents of Brynbella - the 'Sale of the Century' - as it was described in the local press generated a great deal of interest. According to Sotherby's, the romantic ltalianate villa was a "house of treasures", and the sale itself "a very important auction". The auction took place in June 1994. 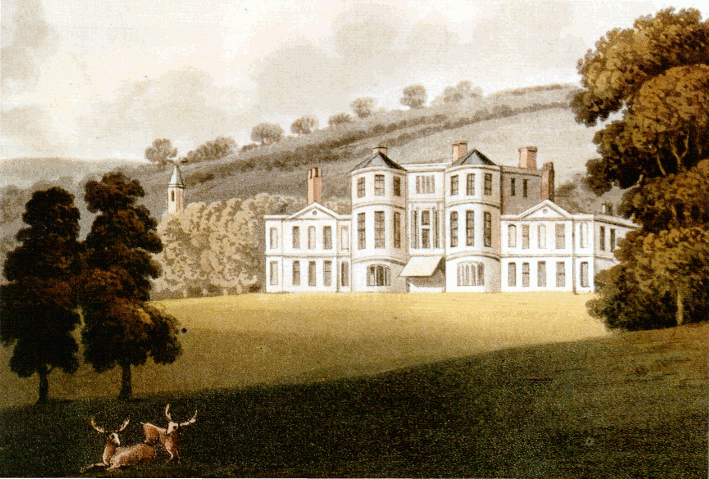 A date which assumes some significance when one remembers that Mrs Piozzi, a member of the Salusbury family, moved into her "little cottage", as she termed Brynbella, exactly 200 years before in 1794. 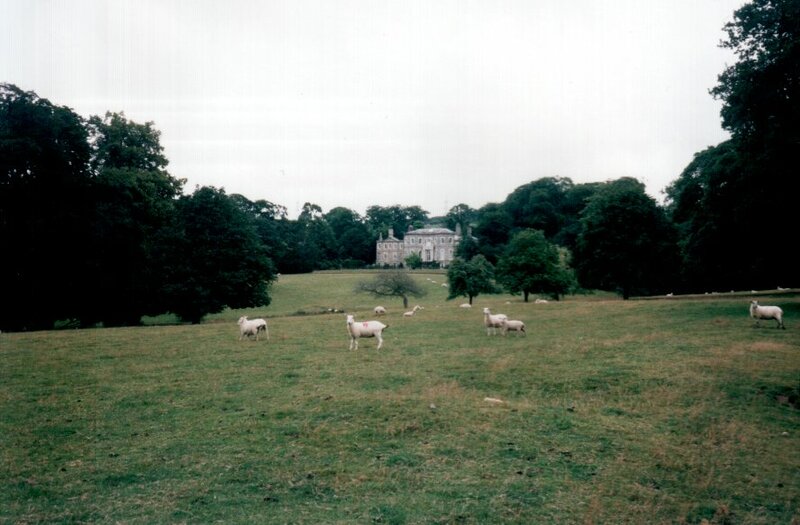 The Hall has obviously played quite an important part in the life of Tremeirchion over the years, and it was evident that the locals were excited by the sale, for nearly everyone went, just for a look. 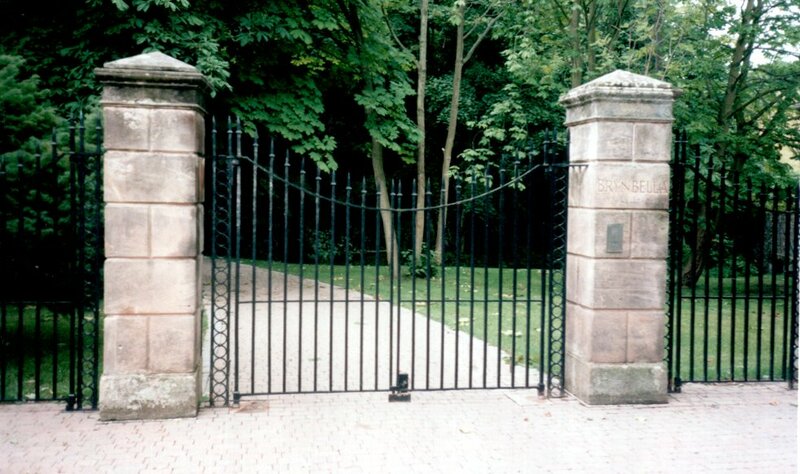 Jackson, Stopps & Staff, of Chester, listed the price of the property as £750,000; but it is said that this figure was exceeded. The contents, in the form of fine art and antiques and furniture, were expected to raise around £1 million; but in the event it was reported that they eventually sold for more than £1.7 million. The sale contents - mostly collected by the Glazebrooks - included a Cecil Kennedy still life of flowers oil painting which raised £43,000, a few Richard Wilson's, and a painting by Phillip Steer entitled "A Turn of the Cards" which was expected to fetch over £80,000. A James Stark painting entitled "Sheep dipping at Thorpe" sold for £91,700 to Mr Richard Green. 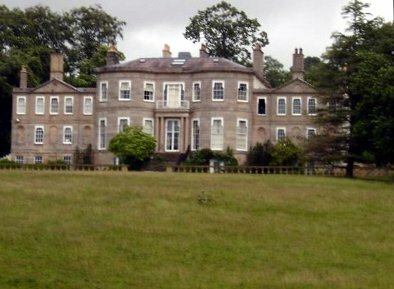 As a listed building, the Hall, with its gardens. its two lodges, and its lovely stables with their cupola, bell tower and clock, was always a scene of great activity, especially in summer, when regular open days and Strawberry Fairs were held. Every Christmas since the last war, a local choir visited the Hall. Visitors were always amazed at the wonderful chandeliers and the marvellous mahogany and walnut doors, still in perfect condition. The local church, Corpus Christi took advantage of the crowds attending the sale of Brynbella, and organised three open days of its own. Over 200 people came to see the Church's Salusbury vaults, and the hatchment or coat of arms presented to the church by Mrs Piozzi, with other valuables. They could also inspect wall tablet commemorating Mrs Piozzi.